For those who have followed or joined me along the way of my 257 posts I am moving. I have created a new WordPress website where I will continue blogging about writing including a ‘who I am’ page and links to my e-books with a synopsis of each. I hope you will check it out and continue to follow me. If you have time let me know if you like the new site. The new site is here. In my previous post I wrote how to introduce a minor character into your story. We met Grover in a barbershop. He was 5’8″, bald, wore a green wool shirt, red suspenders and Levi’s with a massive gut sagging down over his pants. He did not say a word in the scene, yet I am confident readers would remember Grover Hargrove. He was introduced in chapter two. Now I am writing chapter four and it is time to bring forth Grover. Here is what happens when we see Grover a second time. I looked across the street and my eye caught a man watching us. He wore a green wool shirt, red suspenders over Levi’s and a massive gut drooping over his pants. It was Grover Hargrove, the man hit in the head by a falling tree, that I saw in the barbershop. Clancy turned her head at Grover, standing on other side of the street as motionless as a statue. Clancy waved and yelled, “You hoo.” As if poked by a cattle prod, Grover jolted to alertness, the statue come to life, and he quickly waddled away. Now the reason I wrote the description of Grover when Chet sees him is to identify him in a way that the reader will recall-oh that guy. I did the same thing in the first paragraph in this post for those who read the previous post-oh yeah, that guy. But Grover walks away. The reason is that now the reader knows he will factor in the story. Why was Grover watching them? Is he a bad guy? What is he up to? Is he mentally impaired because of the head injury? It is a nice plot device to make a mystery of someone, or two, within a mystery. It keeps the reader turning pages, clicking enter for next page, or tapping, clicking, to find out about Grover and what he will do or say next. Every tale needs a protagonist and antagonist, a hero and villain, a good guy and bad guy. But a tale also needs minor characters, maybe just a character in a barbershop, something to divert or give a change of pace, a set-up for what is to come. Consider this scene for my work-in-progress. My lead character, the good guy, is investigating a murder in a small town in 1927. He goes to a barbershop to get a haircut, one in which he will learn something from the barber that will help him in his search for what happened. But we might want to delay that a bit because you don’t want to cut to the chase, you want to give credence to everyday life. So here is a scene where I introduce a minor character. When the second man got out of his chair and paid Delfare, the proprietor of the shop, I was told I was next. I looked at the man sitting by the window, about 5’8” with a bald head, maybe about thirty. He was wearing Levi’s, a green wool shirt with red suspenders keeping his Levi’s in place, his large blubbery gut sagging over the top of the Levi’s, covering his crotch like giant padding. He had to sit straight, his feet spread to accommodate what seemed to be emergent fat. “Oh Hargrove don’t mind, do you Grover?” Grover shrugged his blubber. “Grover is a fixture here aren’t you? He got in the way of a falling tree, thumped him on the head real good. Grover can’t work anymore. He gets bored, comes in here to partake of town talk. He gets bored every day, don’t you Groves?” Grover sighed. The scene creates verisimilitude, it delays the heart of the scene, and every tale needs sidebars and small little diversions. And this seemingly innocuous character could play a pivotal scene later. After all, he is hanging around a barbershop, hearing all sorts of gossip and rumors. It could be this innocuous character could play a big part later. And this is one way to set up the reader for what comes later, for they already know about Grover Hargrove. 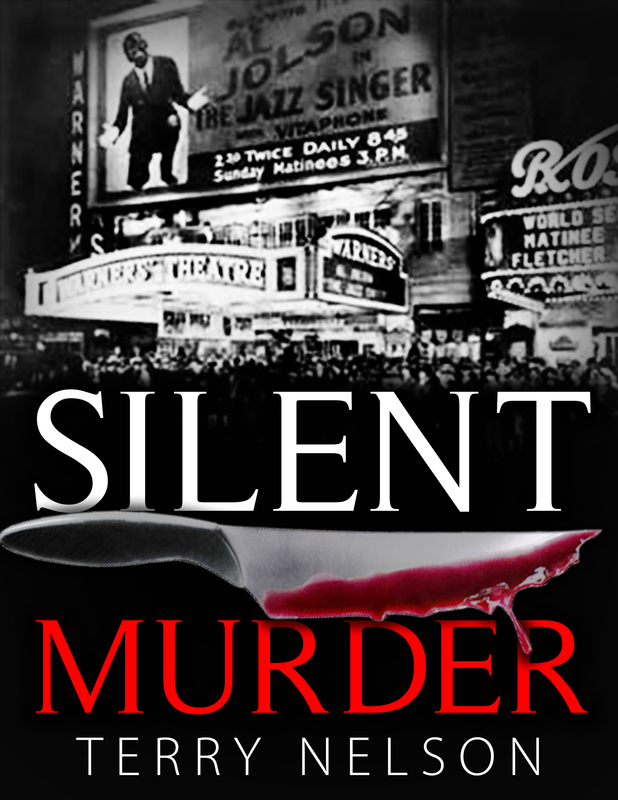 You won’t find Grover in Silent Murder, but you will find my protagonist and what happened before he got to this small town. My favorite fictional character when I was studying literature in college was Bartelby, the Scrivener. Before college my favorite TV character was Maynard G. Krebs. Everyone is apprehensive of the future, especially college students, wondering first if they can make it through school and then where they will end up in the job market. And my view of work was similar to Krebs, as played by Bob Denver as seen here in a clip from “The Many Affairs of Dobie Gillis.” Work indeed; it is scary. Which brings me back to Bartelby. And what employee in a dead end job does not want to say that. He said the line with calmness and matter-of-factness. He did not defy in hostility, he simply with great sadness said, “I prefer not to.” And he got away with it. Bartelby became a fixture in the office, a mournful, sad presence, often looking out the window at a brick wall. In fact it turned out he ended up living in the office, much to the surprise of his boss. Day after day, “I prefer not to.” Sadly Bartelby was forced to leave, his presence became not intolerable, but embarrassing. Bartelby ended up in the Dead Letter Department of the post office, but I shall not reveal the ending. From time to time when I lived in the real world with a real job I would say to my boss, “I prefer not to.” For some reason it never worked. I guess I never ran into a boss like Bartelby. I either received a stare in return or laughter, or “I don’t care, do it anyway.” Preferring not to do something is valid, but not caring is a bad attitude. Though maybe that is the Bartelby within me speaking. Bartelby fell into an existential trap, but I deal with dysthymia or melancholy, depending on which counselor or therapist I listen to, but I think both forms of depression overlap, blend, merge, and swirl into each other. I took medication for a few years, but it had side effects and given the choice, I “prefer not to” take pills. It has been suggested that the narrator of “Bartelby” is mask for Melville and that Bartelby is a darker side of the writer Melville. If that is true then both must have been depressed, but if you get enough literary critics together they will debate, argue and interpret the story in diverse ways. I just like a guy who says, “I prefer not to” when asked to work. After I publish this blog I may or may not write, or work on my new, yet to be online website. I will see what I prefer to do, if anything. 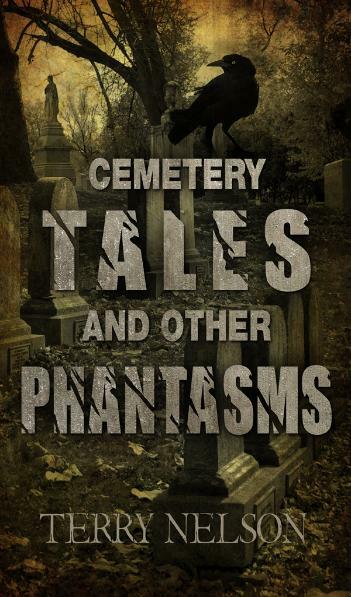 Meanwhile in this e-book of supernatural short stories for $2.99 you will find two more literary characters, Frankenstein and his monster, created by Mary Shelley, and reimagined by yours truly in an alternate ending.